Badger Funeral Home in West Jefferson, North Carolina has served Ashe County since 1854. The firm is the oldest on-going business in Ashe County and the 16th oldest funeral home in the state of North Carolina. Badger Funeral Home evolved from the cabinet and casket building skills of William Badger, a veteran of the Confederate Army in the Civil War who migrated to Ashe County from Petersburg, Virginia, before the war. For many years, the funeral home operated out of the second floor of what is now the Dollar Tire building in West Jefferson. In addition to conducting funeral services, the staff of the funeral home also handled the ambulance service for Ashe County. The funeral home has been at its present location since the 1930's in a building formerly used as a residence and as a boarding house for a nearby school. The building was extensively renovated in 1988 with the addition of a new chapel and the total restructuring and redecorating of the main floor and upper floor. In 1935, Mr. W.L.Sturdivant established the former Reins-Sturdivant Funeral Home in a buildingin downtown West Jefferson, North Carolina. (At one time, Reins-Sturdivant hadfuneral homes in West Jefferson, Sparta, Newland, and North Wilkesboro in NorthCarolina, and in Independence, Virginia.) In 1961, Reins-Sturdivant FuneralHome established Ashelawn Memorial Gardens on U.S. Highway 221 North inJefferson, North Carolina, leaving vacant a parcel of land adjacent to thecemetery for an eventual funeral home. In 1972, Ashelawn Memorial Chapel wasbuilt on that site, creating Northwest North Carolina's only combinationfuneral home/cemetery operation. In early 1993, the interior of the funeralhome, which remained as it was when constructed in 1972, was completelyrenovated, and the parking lots adjoining the funeral home and the drivewaysthroughout the cemetery, which were surfaced with gravel, were paved withasphalt. In early 1994, construction of the Mausoleum of Prayer, Ashe County‘sonly above-ground mausoleum, was begun on the prominent hill overlooking thememorial park. The chapel of the Mausoleum provides a place for familymeditation and shelter for committal services during inclement weather. As afuneral home and cemetery combination, the Ashelawn staff is able to assistgrieving families with all funeral home, cemetery, cremation, and monumentneeds at one convenient location. In 2004, Badger Funeral Home and Ashelawn Memorial Chapel and Gardens became a part of Ashe County Funeral Services, LLC. In 2007 Joshua “Josh” Roten became an owner in Ashe County Funeral Services, LLC and operated the two funeral homes and memorial gardens. Josh has been involved in funeral service since the age of 16. In June of 2017, he and his wife Holly bought the remaining interest in Ashe County Funeral Services,LLC, becoming the sole owners and bringing the two establishments into complete100% Local Ownership. In doing so they created a new ownership company,Appalachian Legacy Funeral Services, LLC. 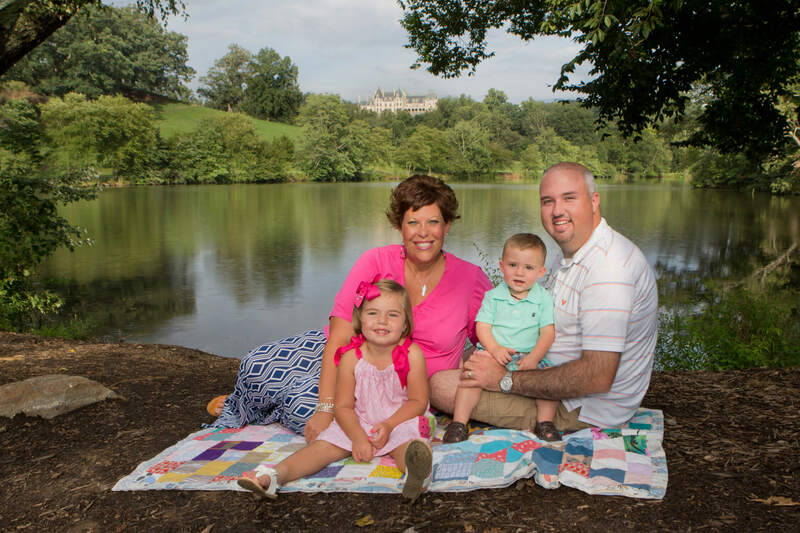 Josh and Holly are honored to be the custodians of two great and longstanding “Legacies” with Ashelawn and Badger.They believe each family has their own Legacy and we are entrusted to help them honor that.